Effortlessly on-trend in gloss 80s-vibe fuschia pink, the striking styler comes packaged with three pink GHD lip glosses to suit your every mood, Dare, Dazzle and Demure for style and gloss in one gorgeous package. 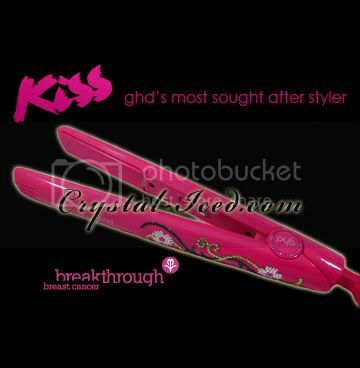 Crystal-Iced will donate £10 for each GHD Kiss styler we sell - & we are only making 10 of the gorgeous Swarovski Crystal Crystallized stylers, so catch this offer while you can. It's a beautiful way to help a deserving cause too. 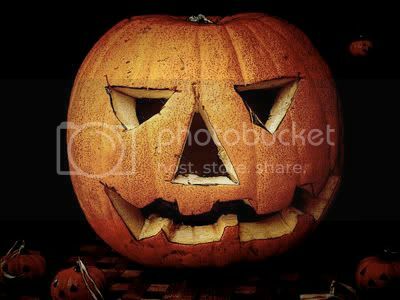 Click on the image below to take you to the product in our shop. 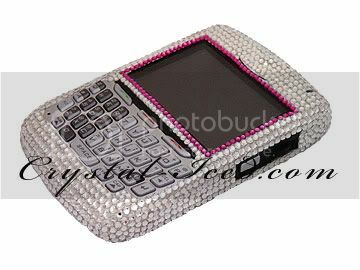 Check out some more pictures of Paris Hilton's Crystal-Iced Blackberry.. FABULOUS! The latest Apple iPod Nano - Available to buy in our Crystal-Iced Shop. Or get this Iced on your own iPod in the Boutique! Sleek, sophisticated, simple, sparkly and just down right gorgeous! Our latest addition to the Crystal-Iced™ Collection. Available to buy in our Crystal-Iced Shop. 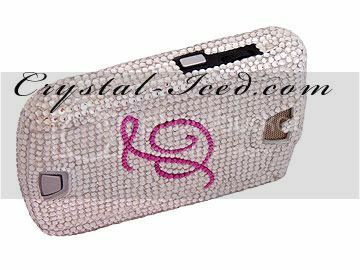 Or get this Iced on your own phone in the Boutique!